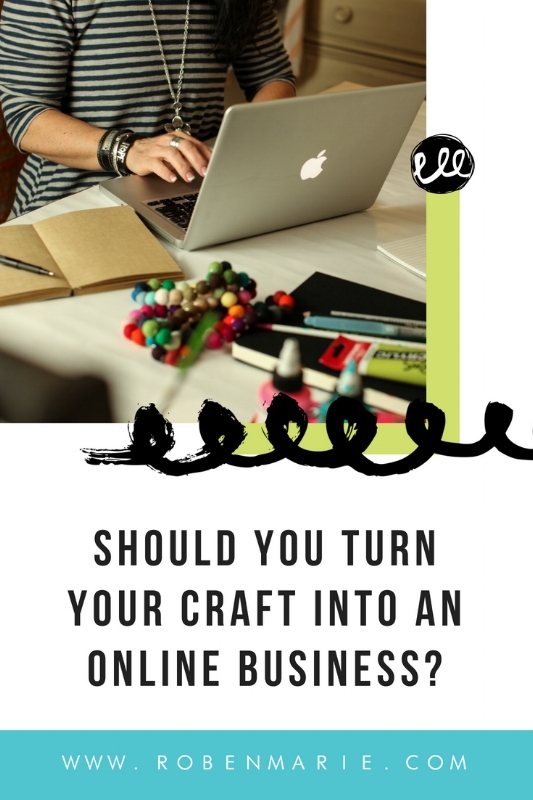 Should you turn your craft into an online business? If you follow a lot of artists and creatives online, it’s easy to fall into the trap of believing that you should be doing what they’re all doing… but that’s not the case at all. Some artists create for the personal joy it brings. It’s something fun to do. It’s an amazing source of self-expression. It’s simply a great hobby to have… but one that they keep behind closed doors. Some artists love to share their creative journey online. Not necessarily with profit in mind, more with a focus on being part of a wider creative community. Some artists love the art and love the sharing and wouldn’t mind making a little extra cash on the side… art supplies aren't cheap and there are always new things to try! Some artists feel called to do more. They want their creative pursuits to be their life’s work. They want to inspire and teach. They want to make good money doing what they love. What do you want from your creativity? Do you want to keep it as a private passion? Do you want to use it as a catalyst for community? Do you want to build a business from your craft? There is no wrong answer here. Your creative journey can be whatever you’d like it to be. When I began my creative journey years ago, I pretty much had no idea what I was doing, but I knew I loved teaching and encouraging others so I kept at it. My hobby soon turned into a business that I loved...still love! I’ve always been pretty tech-savvy, so it seemed logical for me to sidestep into sharing my art using emerging technologies like blogging and social media. •It has put me in a position to inspire and teach other creatives from across the world. •It’s allowed me to collaborate with dear friends and design viral creative movements. •It’s given me the opportunity to create a whole line of creative supplies that I love using myself. •It’s enabled me to have the freedom to spend quality time with the people I love and working on projects that truly matter to me. •It’s allowed me to grow as an artist (and as a person). If this sounds like a transformation you’d like to see in your own world, turning your craft into an online business might be the right way to go for you. Stick around - I’ll be sharing tips from my years of experience for doing just that over the coming months.